It's not clear how Goudey dealt with Chicle's various products, but it's doubtful they printed more. Even collectors with deep pockets find Batter-Up hard to complete, given its many scarce high numbers. My current wantlist is heavy with those upper reaches. 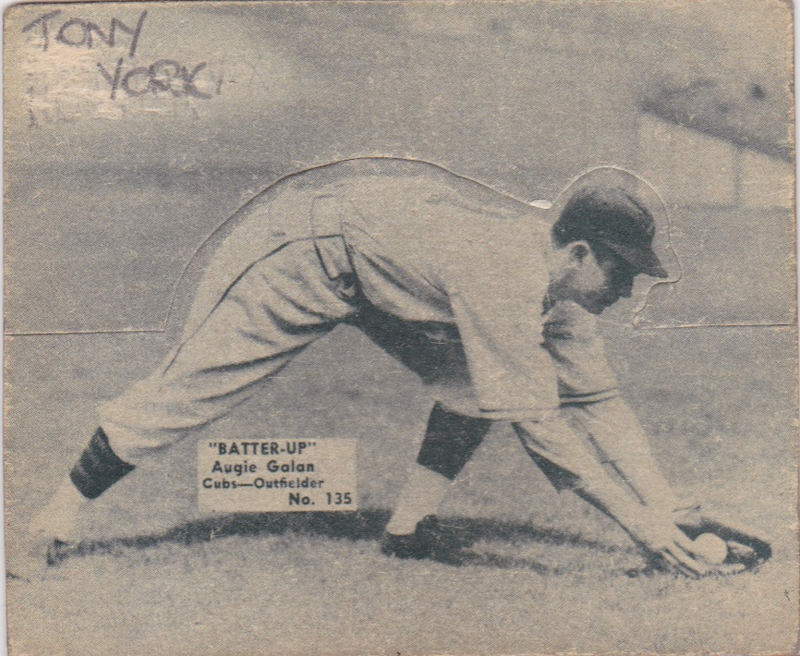 1934-36 Batter Up wantlist: See my vintage wantlist for current needs. Common high numbers cost $10+ each in low grade, so considerable investment lies before me, unless I can pull the trigger on more trades like this one. 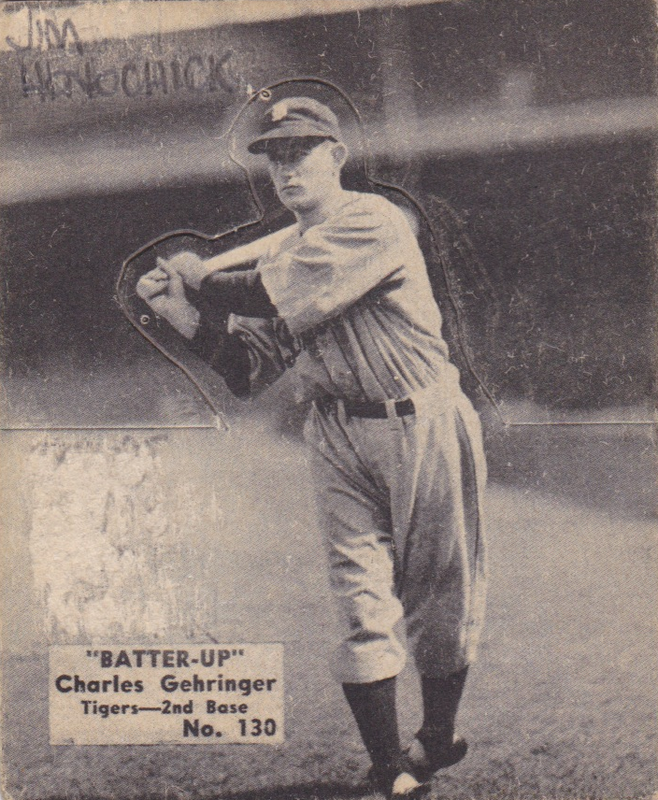 ...is now Jim Honochick, an obscure 1940s minor leaguer (career stats). Here are their other mentions. Allan Smith, who might be incorrectly tagged--Al Smith? It's hard to find rhyme or reason behind most of the name changes, so maybe I'll let the mystery be. Big thanks to Andy C for his trade! 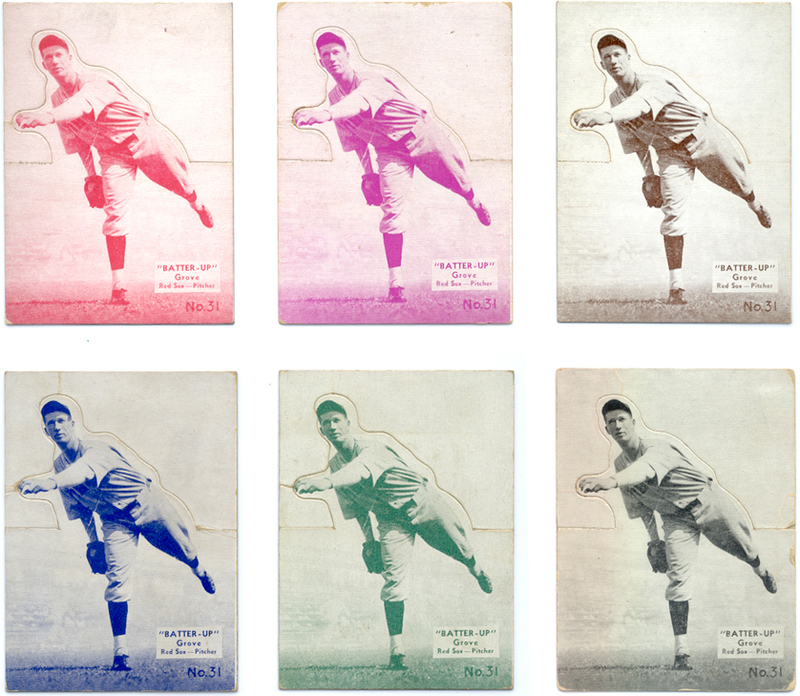 Also props to Peter M, Jim H, Steve R, Bama, and Ed W of OldBaseball.com for earlier additions to my set. Aug 4: Andy C hit me again with #139 Bill Jurges, who was pencil updated to Norm DeWeese, a 1935-47 outfielder in several minor leagues. Still don't know how to account for the new names, but it's a fun diversion to wonder how they fit together. Nov 29: Taylor S sent #39 my way! One extra piece of thanksgiving for this week. Jan 10: HOF Bill Terry arrives from eBay! Took advantage of a post-holiday sale and got him for $18. May 26: HOF #42 Charlie Gehringer arrives from eBay and knocks my low number list down to 2! 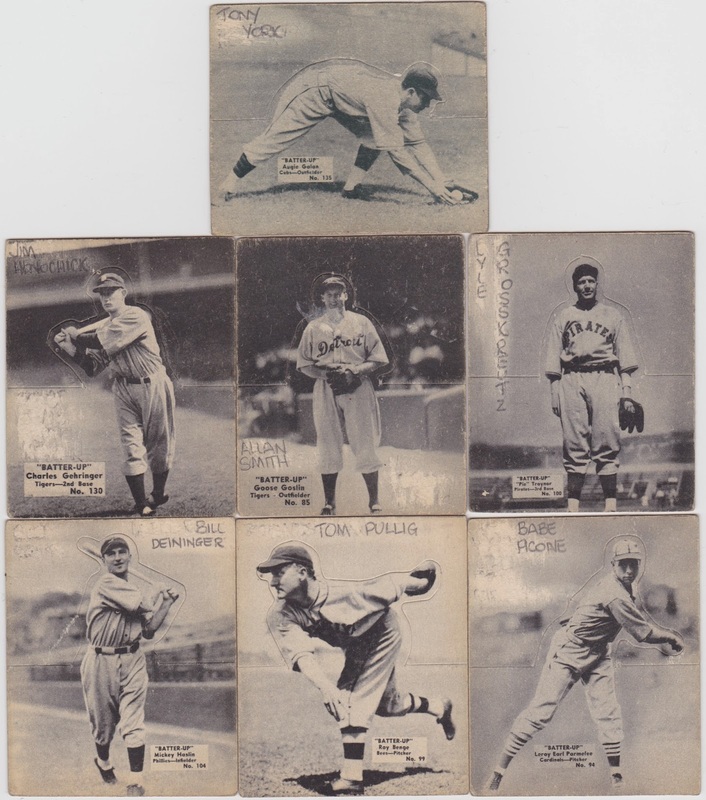 Feb 14, 2016: Finished the low numbers (1-80) with #31 Lefty Grove, fresh from eBay! See my vintage wantlist for remaining high numbers. Sounds like a good lot, Mark, did you find them at a show?